A bit pricey and I didn't feel full for very long after drinking the smoothie I ordered. I thought the smoothie is a bit small for $9. Not sure I would purchase very regularly at that price point. Love the concept of fresh, high quality ingredients though and convenient location. Really liked Juice Laundry. Wish there were pre-made options for bowls though! Hard to mix and match sometimes. I enjoyed my tasty Acai Smoothie Bowl with its fresh ingredients. I appreciated the creative smoothie flavors and variety of healthy and interesting toppings. I'll definitely return! Nice quiet part of the city. Very clean store. Friendly, knowledgable staff. Great selection of super healthy drinks and food. Highly recommend getting in there and enjoying something fresh and healthy today. I am going to be a customer all the time. Glad to have found Juice Laundry through NIFT. SCORE!! Staff was kind and helpful. I would love to see a smaller option for the smoothie bowl. It's quite large, but very tasty! I got the Cacao Monster and it was soooo good and filling! Great product and fun staff. Definitely a v! I highly recommend juice laundry. I got a spinach and kale smoothie and it was absolutely outstanding! Not only really healthy but absolutely delicious! I will definitely return for more! The staff were extremely friendly and service was excellent. 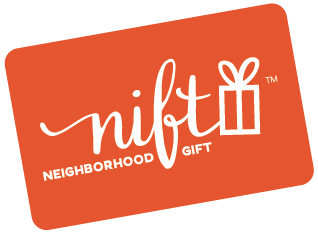 She didn't know how to use the Nift gift card. Great place. Nice atmosphere and the products are wonderful.